In this Vox interview, prominent surgeon and author Atul Gawande states that while we think the problems that ail our society are often due to lack of knowledge (which in some cases it is), he believes that ineptitude can explain many of our current “failures”. The implications of this perspective is what really resonates for me. While we tend to look for improvements in our lives from earth-shattering innovations when in reality, large improvements can be made by applying what we already know, on a more consistent or uniform basis. With a sudden influx of patients with ACL-repairs in the clinic, I’ve taken time to reflect on my practices approaching their rehabilitation. There’s no shortage of post-op rehab protocols on the internet, but these are usually just lists of exercises and contraindications, with very little consideration for how training program parameters (i.e. sets, reps, rest, etc…) interact to optimize healing of the injured tissue. In this piece, Dr Keith Baar outlines effective strategies, both for training and nutrition, to optimize return to play following soft tissue injury. If you want a shorter read, this Men’s Fitness article touches on some similar concepts. I’ve been a long time follower of Cal Newport since reading his 2012 book “So good they can’t ignore you” . 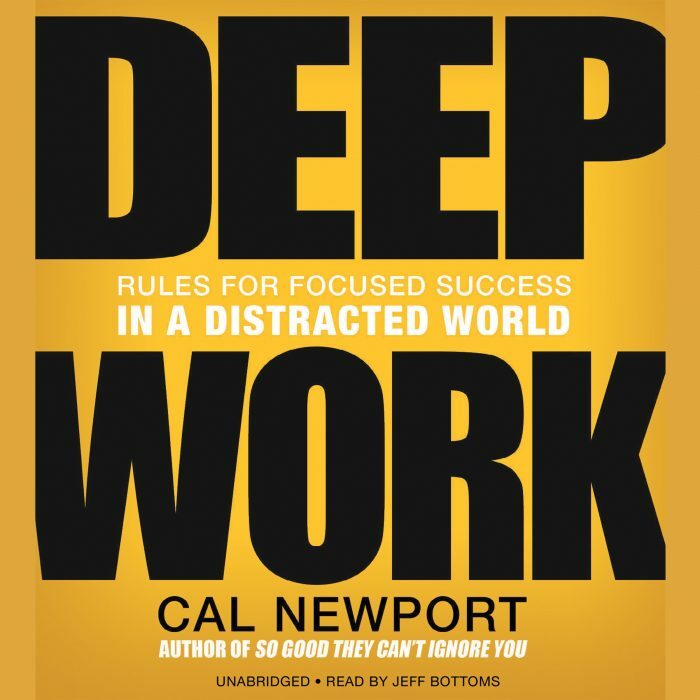 In his more recent book, “Deep Work: Rules for Focused Success in a Distracted World” , Newport contends that deep work, the ability to focus without distraction on mentally demanding tasks, is a skill of increasing rarity in the modern workplace. Pulling examples from multiple professions, Newport first makes the case for deep work and then provides a series of easily implemented, actionable strategies to help you tackle real problems and produce meaningful results.